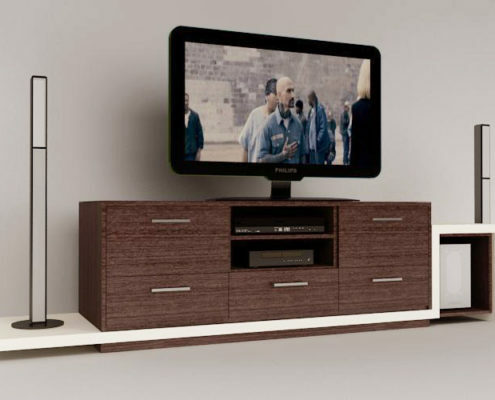 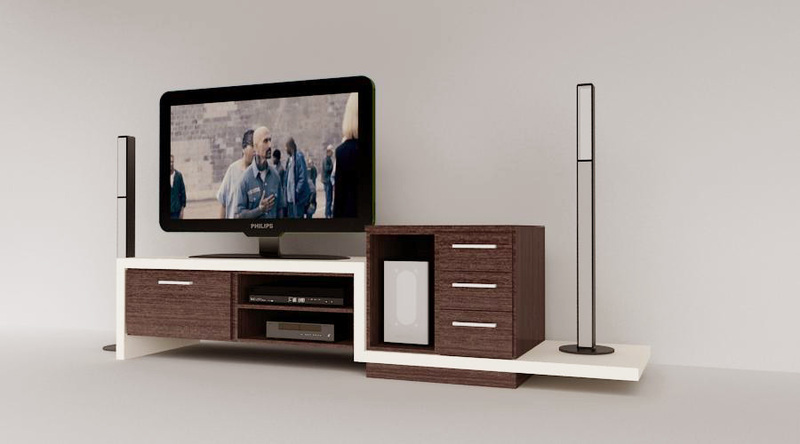 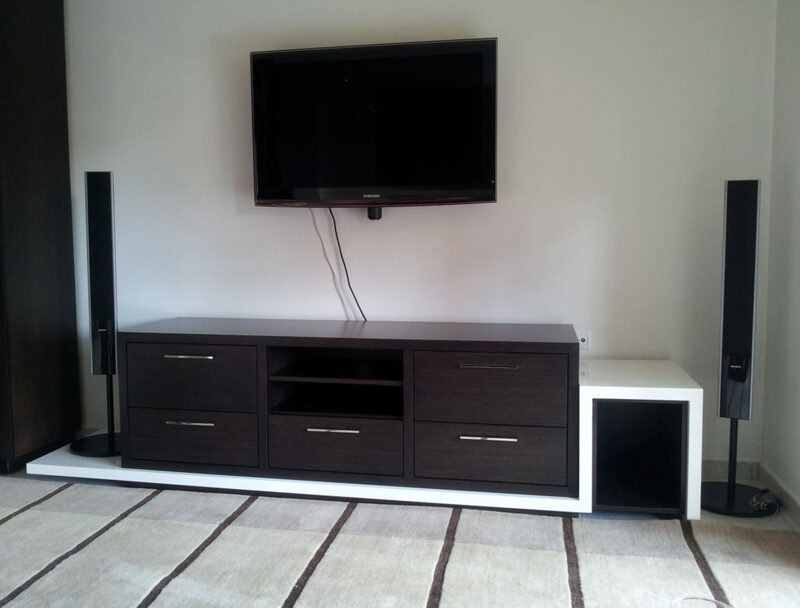 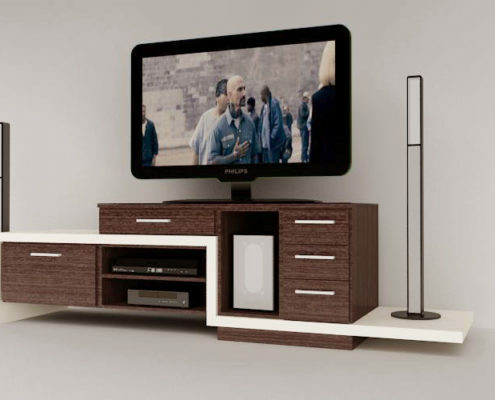 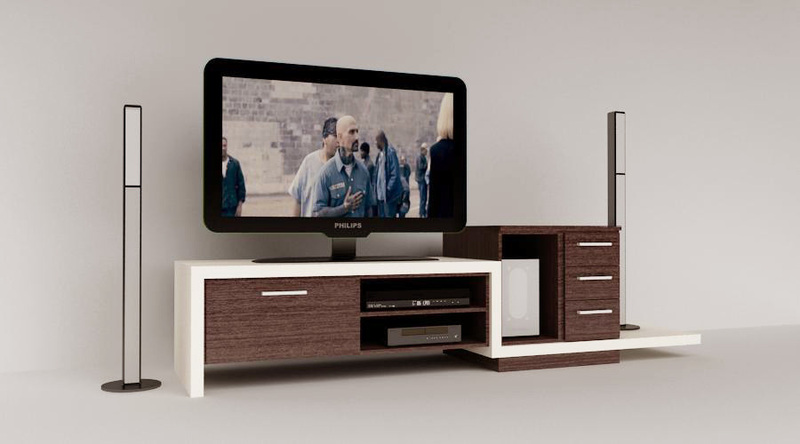 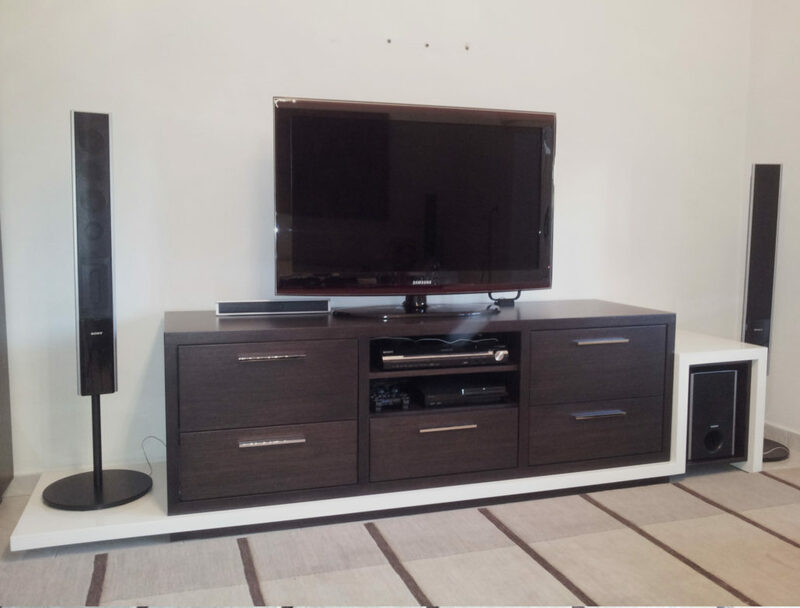 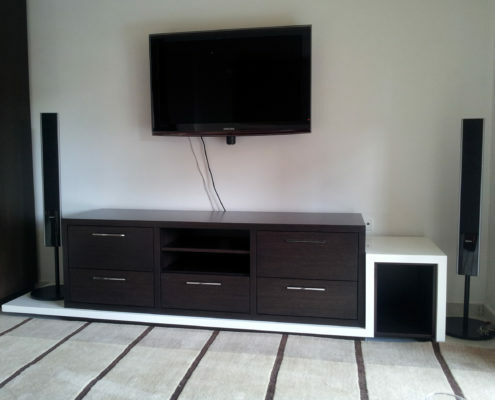 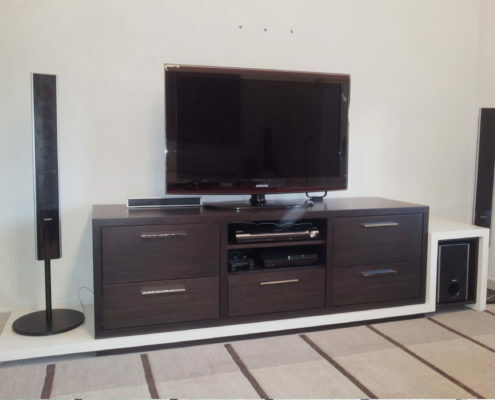 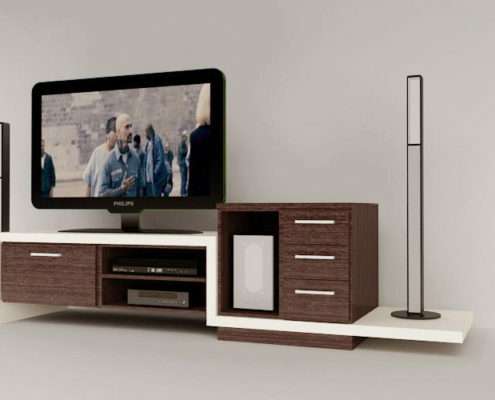 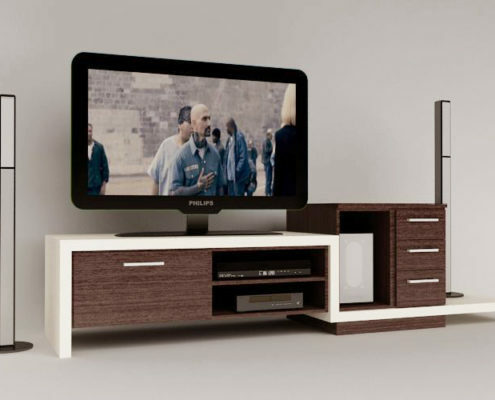 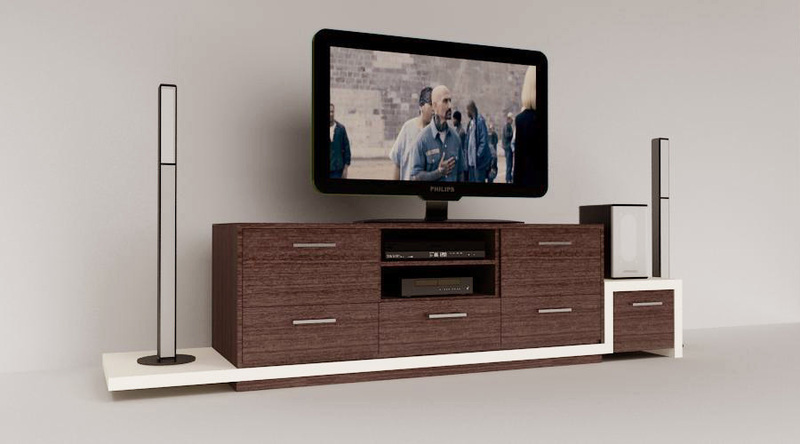 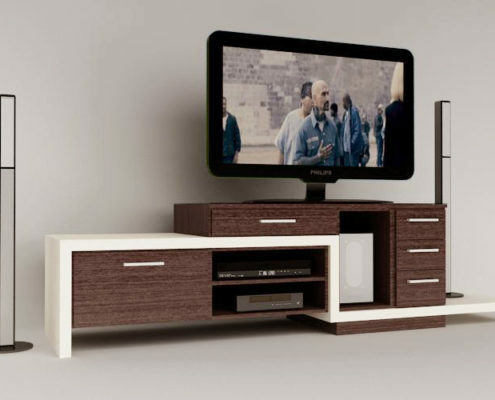 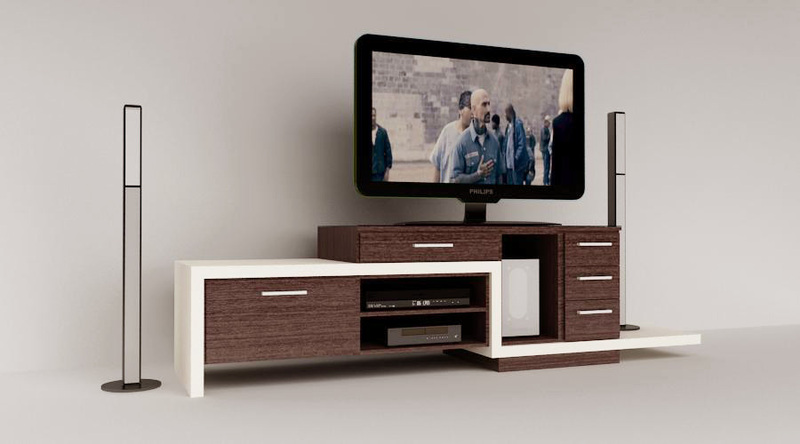 The owner of the apartment desired TV furniture that would fit to the sitting room of his apartment and that would include storage space for specific objects, the two speakers, the woofer and the dvd player. 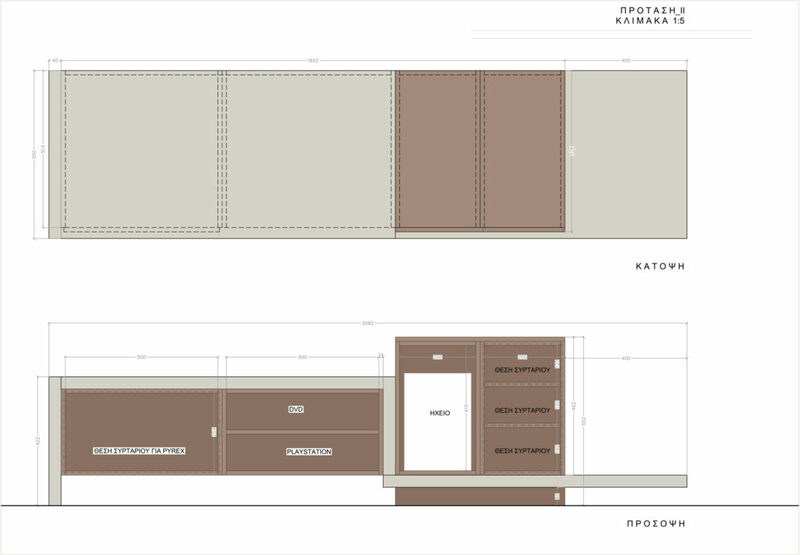 There were made several proposals that would fit to the apartment. 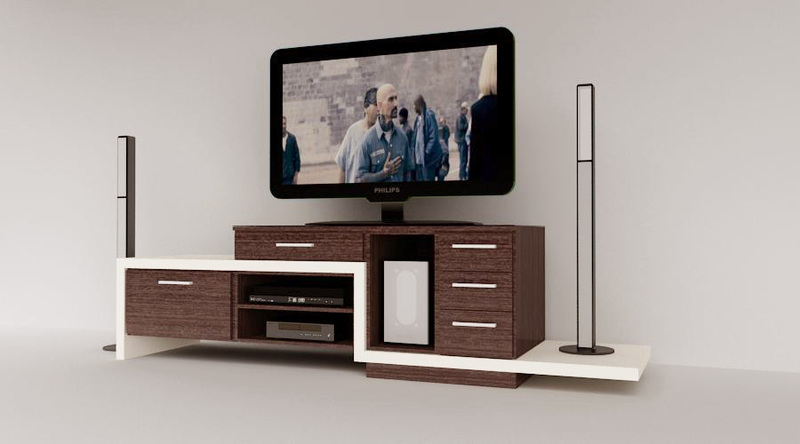 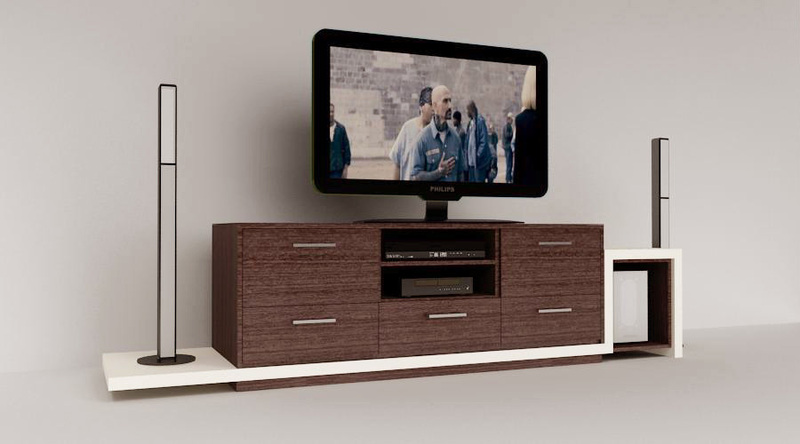 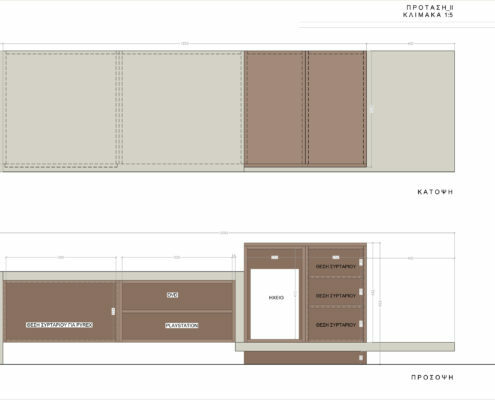 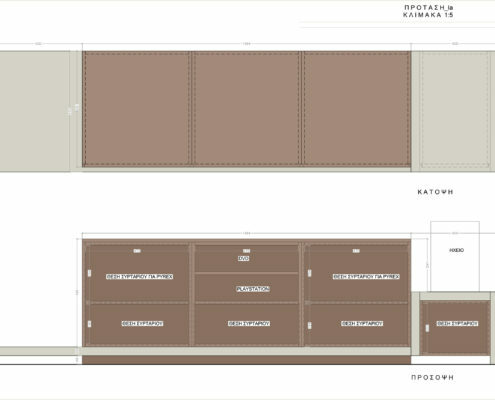 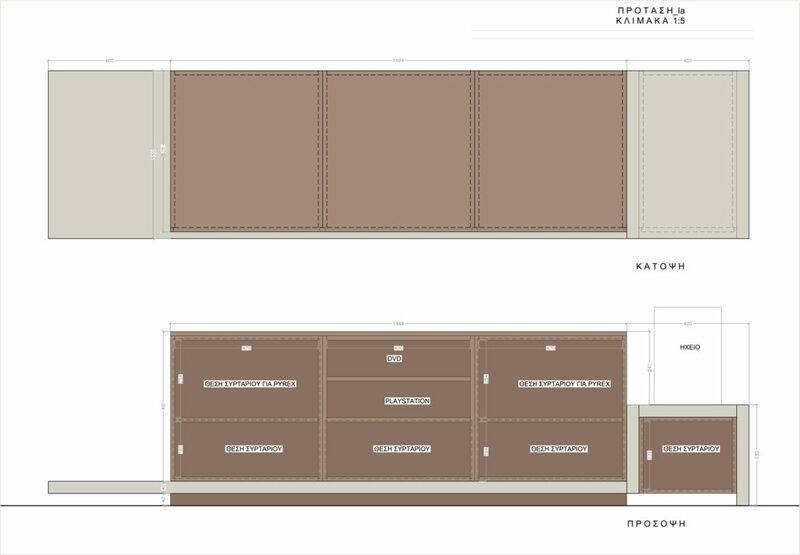 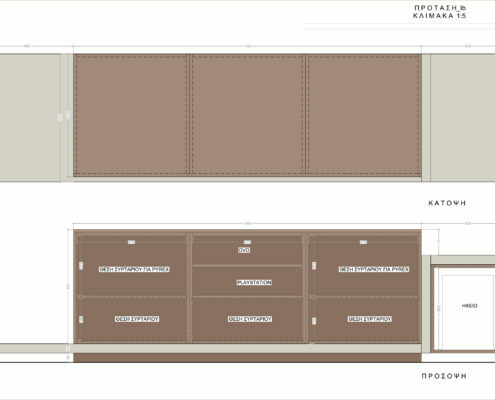 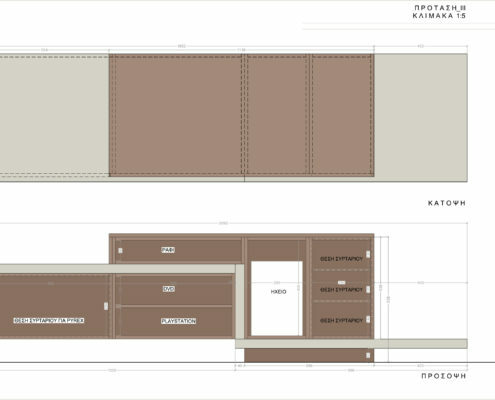 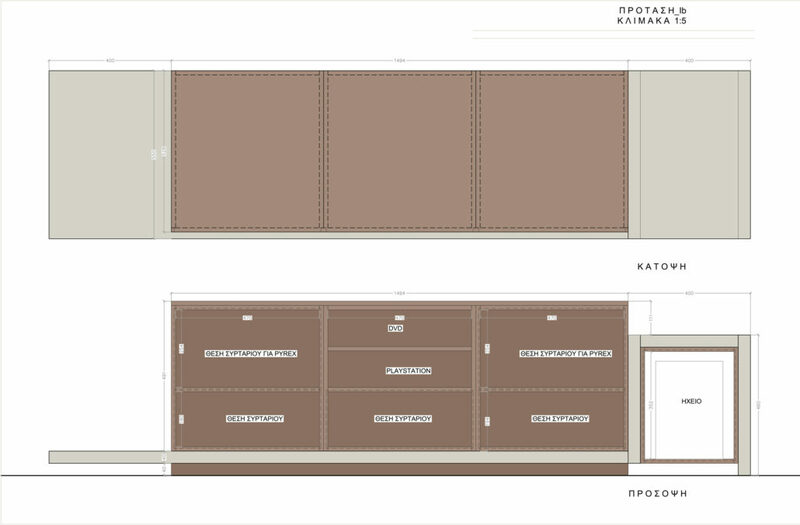 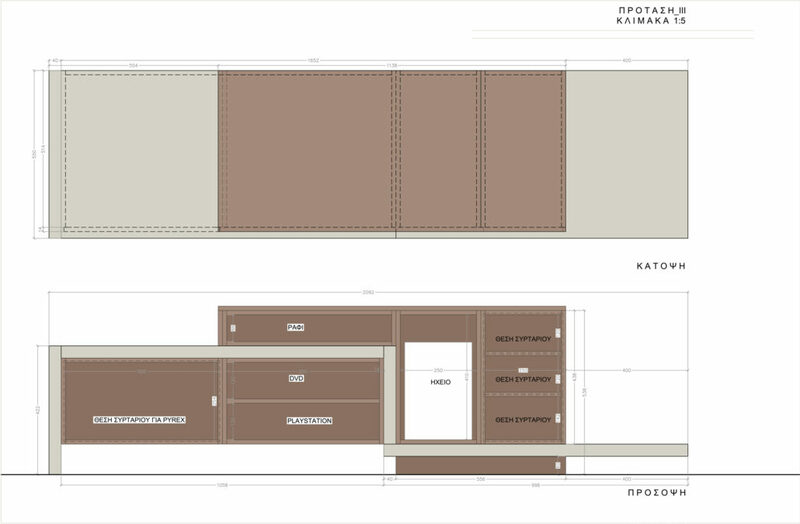 The proposed material is vanilla lacquered wood combined with brown wenge color.